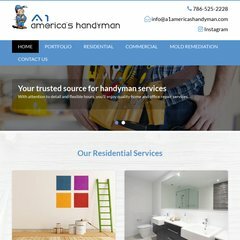 Topics: Miami Drywall Services, Miami Bathroom Repair, Miami Painting Services, Florida Drywall Services, Florida Bathroom Repair, and Florida Painting Services. jigsawhomeinspections... RI Home Inspection MA Energy Audit Rhode Island Home Energy Audit .. There are 3 Nameservers, dns2.registeredsite.com, dns3.registeredsite.com, and dns1.registeredsite.com. It is hosted by Website Pros (Florida, Jacksonville,) using Apache web server. Its local IP address is 64.69.220.144.